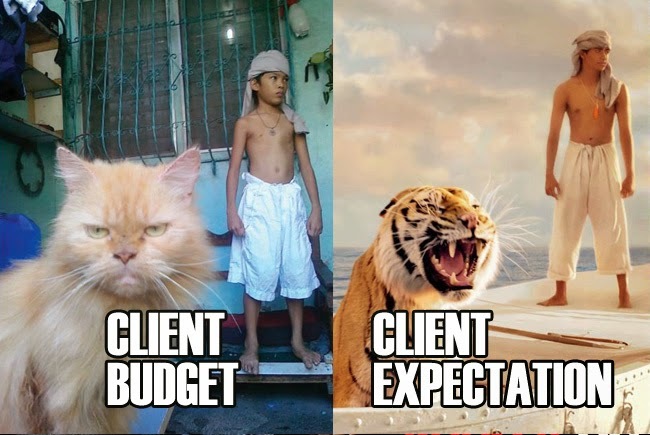 There have been quite a lot of memes over the years about client budget vs expectation, but these examples from Paris based comedian Alex Ramires are absolute genius. His low budget The Little Mermaid is hilarious. 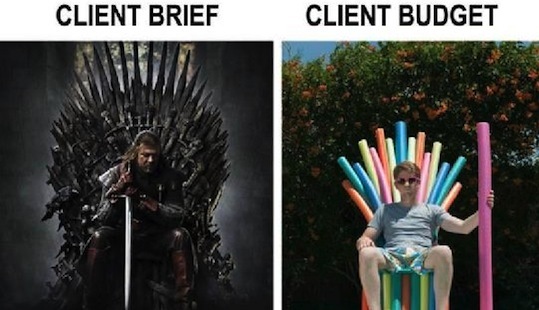 It’s pretty much a shot for shot remake of a song from the movie, with some pretty perfect camera work and the most amazing terrible props you’ve ever seen in your life.